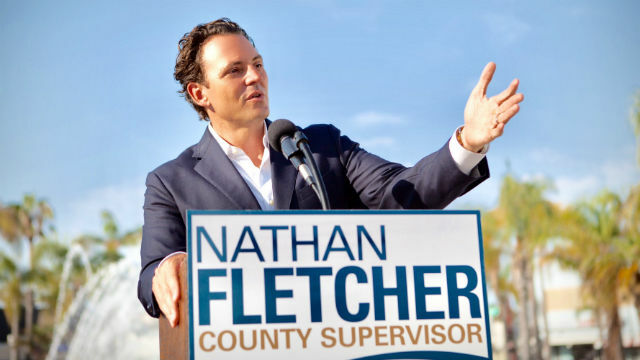 Nathan Fletcher last year sought the backing of Mickey Kasparian’s new San Diego Working Families Council, the labor leader said Friday, but the Fletcher campaign said it rejected that endorsement before getting a rival union group’s backing instead. This week Lori Saldaña — one of Fletcher’s Democratic rivals for the District 4 seat on the county Board of Supervisors — got the nod of the Kasparian-led coalition of six labor unions. She was immediately hammered by Fletcher and allies, who sought to capitalize on Kasparian’s degraded reputation. Social media sniping followed. Kasparian was accused of sexual misconduct or political retaliation in four lawsuits last year. He denied the allegations, and all cases were settled out of court. In February 2017, Saldaña signed a letter calling for an investigation of the UFCW Local 135 president (and his being put on leave). He was also leader of the San Diego and Imperial Counties Labor Council at the time. Brent Beltrán, who led a long series of anti-Kasparian protests on behalf of the accusers, said the attacks on Saldaña were justified. And Fletcher’s wife, Assemblywoman Lorena Gonzalez Fletcher, posted a black-and-white graphic depicting supposed “flip-flops” by Saldaña. 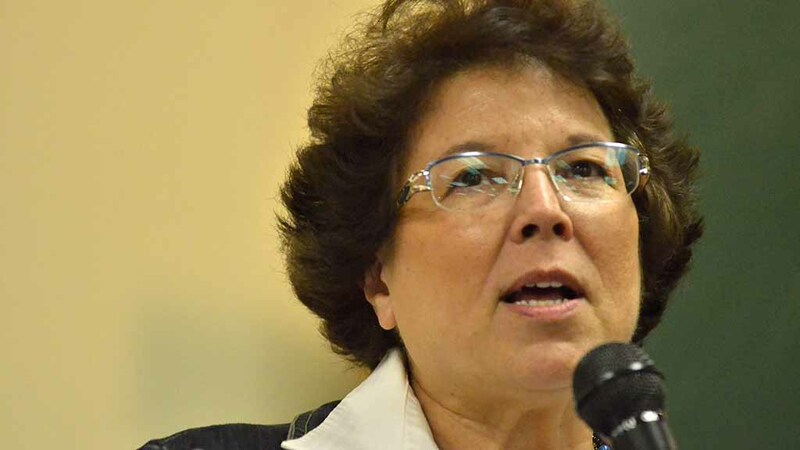 Saldaña, for her part, boasted the labor support shown by the Working Families Council endorsement — six unions with 60,000 members. Kreizenbeck said Fletcher has a “really lousy labor record” and has been holding focus groups “to try to figure out a way” to win. “And when they tested, Lori beat all of them in the focus group,” he said. Citing a report from a member of a Democratic focus group, Kreizenbeck said its members were eventually told that Fletcher once was a Republican legislator. “The reaction in the room was: ‘Why are we here? We’re not going to vote for a Republican,'” he said. In a phone interview Friday, Kasparian explained the endorsement process — stressing that he had only one vote. The steps include a questionnaire sent to interested candidates and an interview. A two-thirds vote of the council is needed for an endorsement, he said, followed by another two-thirds vote of the Working Families Council executive board. “In fact, he told me that he had been getting bullied by people in the other part of labor — and he didn’t care, because he told them that he wanted our endorsement because it was an important endorsement to him,” Kasparian said. This year, Fletcher didn’t seek the Working Families Council endorsement, Kasparian said, but was given a shot at it. Kasparian said the local Service Employees International Union, which endorsed Fletcher, asked the Working Families Council to hold off on a pick. So instead of deciding its endorsement in the supervisor race on Feb. 26, it waited until March 7, Kasparian said. Kasparian also challenged a Voice of San Diego story saying that SEIU Local 221 had pulled out of the Working Families Council. David Garcias, the SEIU 221 president, did not respond to a request for comment. Kasparian said his council has yet to decide how it will allocate its money. The council will decide on the three or four most important races, and fund accordingly, he said. Fletcher’s efforts to tie Saldaña to him shows “panic” and is an attempt to distract voters, Kasparian said. Kasparian says his council tried mightily to be fair to all candidates, even giving Republican Bonnie Dumanis, the former district attorney, a hearing in her own race to replace Ron Roberts as supervisor.